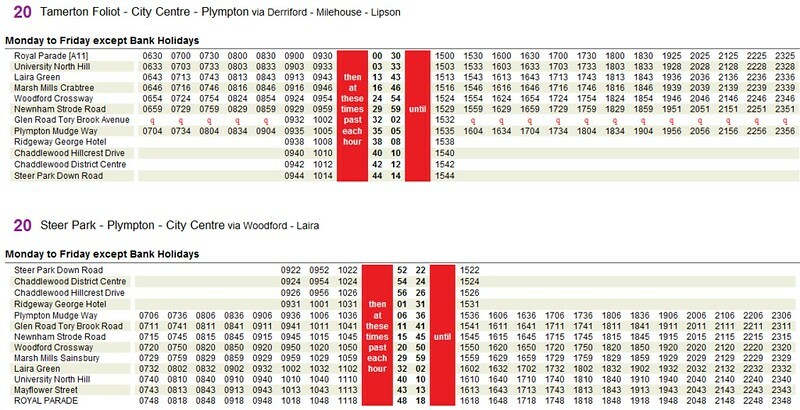 Service 22 is to be replaced by the new Service 21 and Service 21A Revised service 20 will now connect Plympton to the City via Lipson (See Service 20 for more information). These have altered a bit from the original version Here and HERE. It is good to see that although most runs on the 20 will run through onto the 42 both sections keep their route numbers. 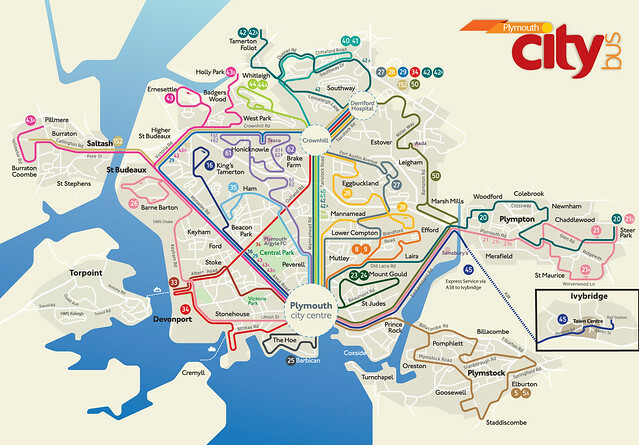 The same with the 21 and 26 routes which will run through but keep their own numbers. You get the cross city connections without confusing everyone. I hope the final timetables do emphasise where the through connections work so passengers can see the cross connections. At the bottom of the timetables, for example Service 21A that gets to Royal Parade at 0751, underneath 0751 and underneath the Royal Parade time for each trip, will be a code saying 'this bus continues to...' then a code for the 0801 26 to Barne Barton. Same for the 20/42/A and other cross-city routes, like the 45 and 43A. Cross city services are a worry - 20 into a 42; 33 into the new 45. This has been tried many times over the past few decades - 1982 with the launch of the 'Citybus' network, First tried cross city working by merging the 1/2 services with the 5/6, all you need is a hold up at Charles Church round about and you're stuffed! I have fed this back to PCB, whether any notice is taken is another thing!